This is a new KA7553 PWM driver IC we use in plasma TV board repairs. 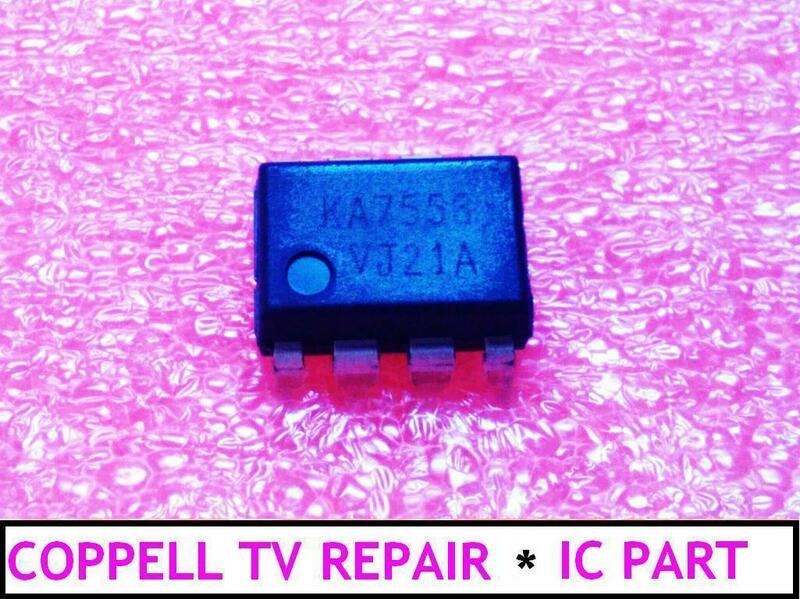 Coppell TV Repair offers you one or more pieces of KA7553 PWM driver IC made by SAMSUNG. It comes in 8 pin DIP package as shown on the picture. Ships within one business day with first class mail. If you need different arrangements please contact us in advance.